Men’s traditional black and red cardigan. 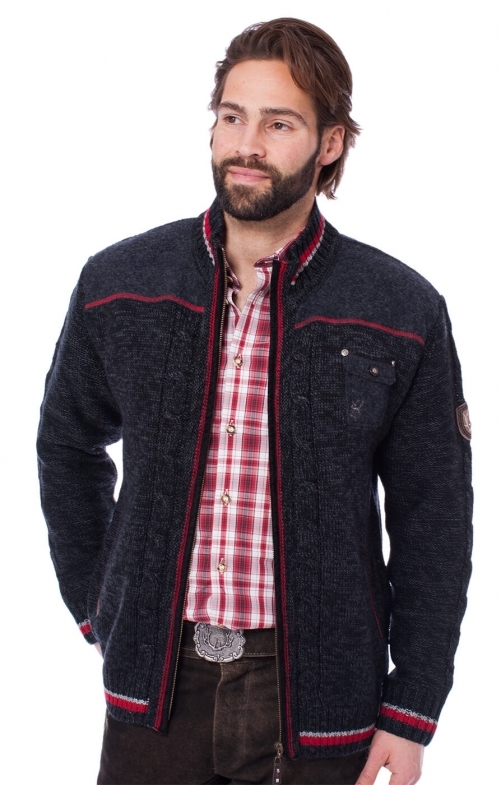 This rugged black cardigan features bold red accenting along the zip and cuffs to really make it stand out. The cardigan has been created from a comfortable blend of 70% wool and 30% polyester and traditional Bavarian-style deer head design on the small breast pocket as well as subtle stag embroidery on the back. Bin sehr zufrieden mit meinem neuen Janker!